Pink Castle Blog: Pink Castle Round-Up: Japanese Fabrics 30% Off, Win A Fat Quarter Bundle, And More! Pink Castle Round-Up: Japanese Fabrics 30% Off, Win A Fat Quarter Bundle, And More! Our schedules are busy and it's easy to miss an interesting bit of news. To help you catch-up, I've rounded up all the best for you right here. Time is running out, but until 11:59 pm tonight you can still get 30% off all your Japanese fabrics. 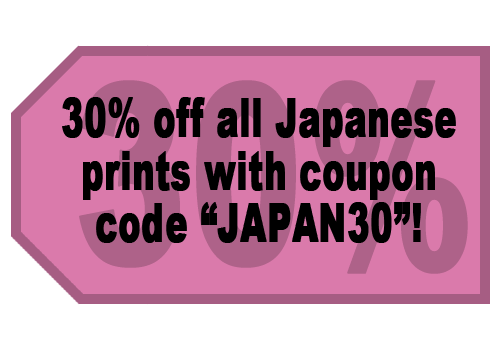 Just use the JAPAN30 promotional code when you checkout and save. Click here to see of all our amazing Japanese fabrics. We still have a few of our Secret Stash Boxes. Twenty random half yards for $60 means you get quality fabric for $6 a yard. This is one of our most requested items but quantities are limited! Click here to get yours now. Win An April Stash Stack Bundle! 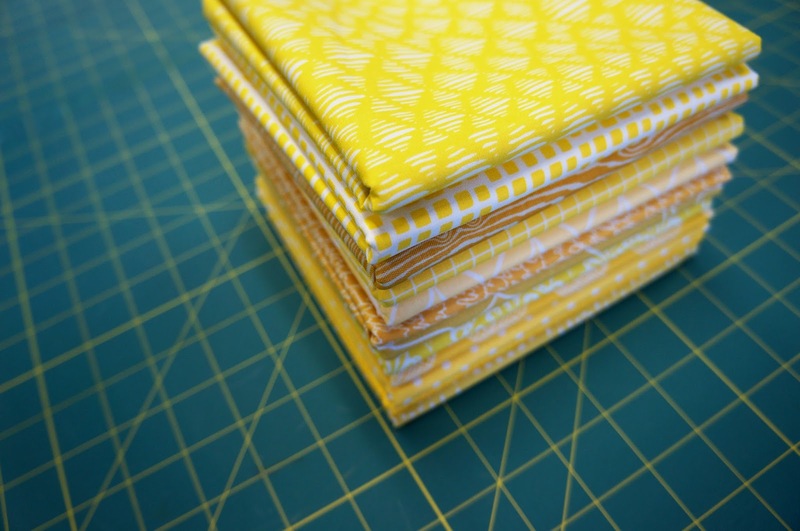 We're giving away one of our April Stash Stack bundles, a full stack of fat quarters celebrating the color yellow. Just leave a comment over at at the original blog post and you'll be entered in the drawing! You only have until 11:59 pm tonight though, so don't delay! Click here to find out how you can be a part of our monthly clubs. Dreamin' Vintage And Other New Fabrics! New this week is Jeni Baker's Dreamin' Vintage. Read all about on our blog, or click here to see the whole collection. Also new this week is Lori Holt's Vintage Happy! Between she and Jeni, it's been a good week for vintage. Check it out, we think you'll love it. And if you're looking for something a little different, Zombie Apocalypse is new to Pink Castle. Ghouls never looked so adorable.